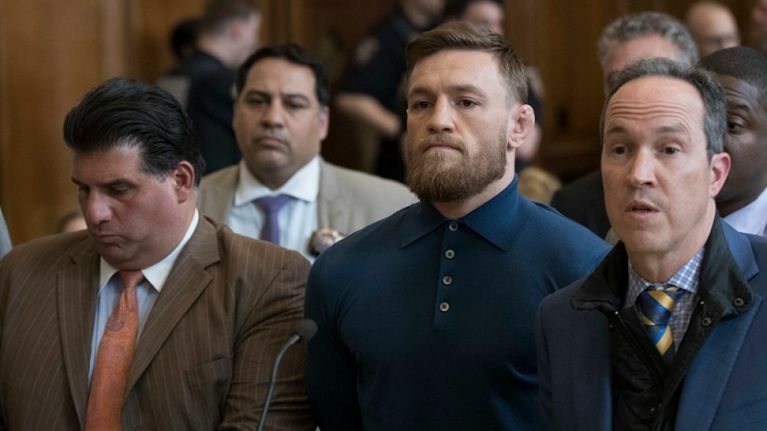 Conor McGregor could face up to 11 years in prison for two felony charges, according to New York sentencing guidelines. McGregor has been charged with several misdemeanours, including 13 counts of menacing, four counts of assault (recklessly cause physical injury to another person), one count of attempted assault with intent to cause physical injury, and one count of reckless endangerment. But the most serious charges on his rap sheet are two felony counts for criminal mischief, according to online court records, and could result in a maximum sentence of 11 years. 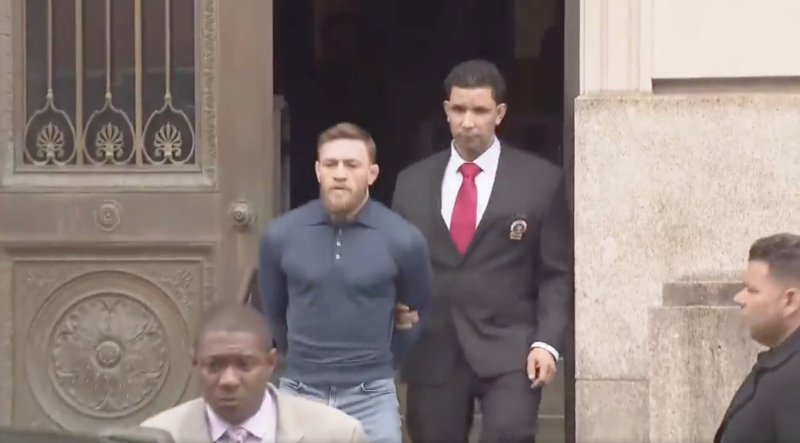 McGregor was granted bail of $50,000 and learned that he would be free to return to Ireland following his rampage through Barclays Centre the previous day. By now, we've all seen the footage of the chairs, guard rails and hand trucks that were sent crashing into the bus which held Khabib Nurmagomedov, the fighter targeted by McGregor's posse. Michael Chiesa and Ray Borg both picked up injuries in the incident and neither will be allowed to compete at UFC 223 on Saturday night. Artem Lobov was also pulled from the card for the role he played in the attack. This has financial as well as legal ramifications for McGregor who could be ordered to pay damages for losses incurred, and we don't want to see the resulting pay-per-view numbers. If McGregor is found guilty assault charges hold a maximum sentence of one year. However the felony level charges for criminal mischief, which stems from the damage caused to the fighter bus, are treated much more seriously by New York's justice system and therefore carry much heavier jail terms. That being said Brooklyn courts typically sentence concurrently, rather than consecutively, so he'd serve all the sentences at once.